We have our 1st confirmed speaker. The great and powerful @jgo will be presenting on a yet to be determined topic, however if his past presentations are any indication… you’ll definitely want to be in attendance. We’re still looking for two BigFix clients to present at the BUG. If you have a potential presentation topic that you’d like to discuss, please don’t hesitate to DM me. Many thanks to @teresa.worth for providing our BUG with this flyer. Good afternoon all. We have 3 of the 4 speaker slots filled. If you’re a BigFix customer and have an interesting topic that you’d like to present, please contact me. 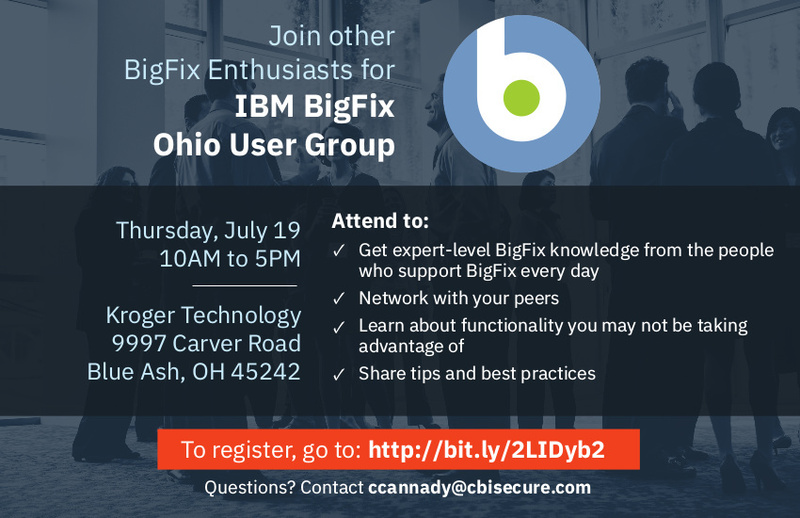 Greetings BigFix’ers that will be attending or thinking about attending our upcoming BUG on Thursday, July 19th. We have 3 out of the 4 presenter slots filled, but would like for one more BigFix customer to speak on an interesting BigFix integration or solution you’ve implemented. Please DM me if you’d like to discuss any topics. If you’re registered to attend, please let me know if there is there a specific topic that you’re wanting to learn more about? We can plan to address these during the open Q&A sessions. Thanks in advance and look forward to seeing everyone there. Good afternoon BigFix’ers. A couple updates regarding our upcoming BUG. The four presentation slots have been filled and the agendas updated here and on Eventbrite. The after event sponsored by HCL will be at Firehouse Grill immediately following the event. If you have any questions regarding the upcoming Ohio Valley BUG, please don’t hesitate to post here or direct message me. For some reason Eventbrite has closed registration for our upcoming BUG. I’m attempting to contact customer service to resolve, however if you’d like to attend and can’t register please DM me and I’ll manually add you to the registration. Sorry for any inconvenience. Good morning all. The Eventbrite registration issues have been resolved. As of 11:30AM EST, there are seven (7) BUG attendee registration slots remaining. Please remember that registration is required to gain access into the Kroger Technology facility. Good morning BigFix’ers! I hope you’re excited for tomorrow BUG in Blue Ash, Ohio. When you arrive at the Kroger Technology facility tomorrow, please check-in at the security desk and you’ll then be directed to our assigned conference rooms. They will be lining up IDs with the list of registered attendees. If you haven’t registered, they will have to validate your entry with me. Good evening BigFix’ers. 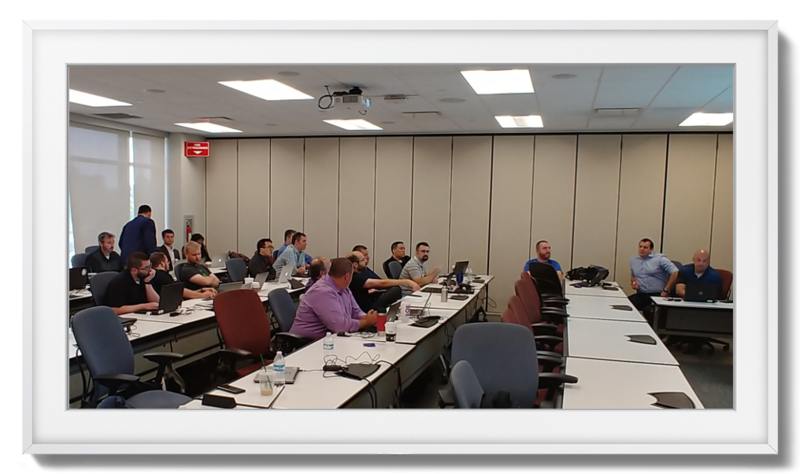 Thank you to everyone that attended today’s Ohio Valley BigFix User Group meeting and after event. 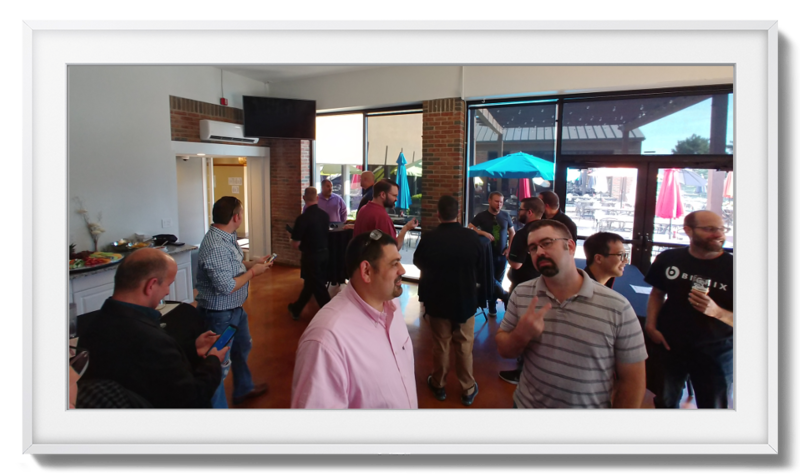 Special thanks to our speakers (@JimmyGlass, @Sor, @baynes74, @AaronBauer and @dexdexdex). We hope you found today’s event useful. 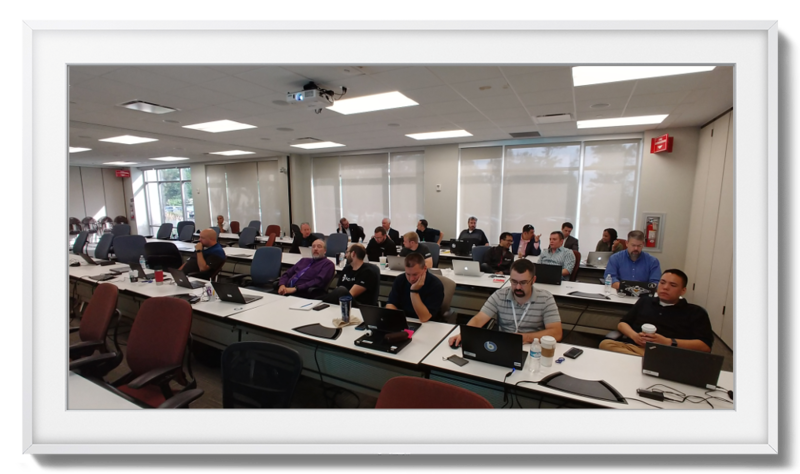 I will work on getting pictures and any available presentation materials posted to this thread within the next week. In the interim, please don’t hesitate to reach out if you have any follow-up questions from today’s sessions. Finally, thank you again to our corporate sponsors that made today’s event possible. Good afternoon BigFix’ers from Denver, Colorado. 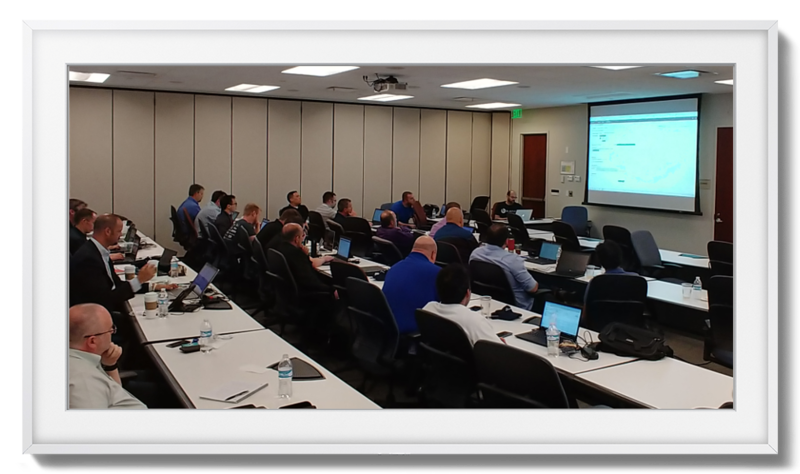 Here are a few photos from our user group meeting and after event last week.